Kiev, April 7, Interfax - The Kiev District Administrative Court has ruled to find unlawful Verkhovnaya Rada Chairman Andrey Parubiy's actions regarding the adoption of legislation obliging the canonical Ukrainian Orthodox Church to change its name, parliamentarian Vadim Novinsky said on Facebook. "A momentous event has happened in Ukraine's modern history: a court has taken the side of the community for the first time by finding the authorities' attempts to fight the canonical Ukrainian Orthodox Church to be unlawful," Novinsky said. 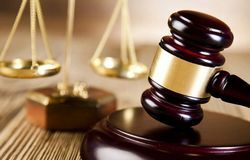 The court so granted a motion by Alexander Dolzhenkov of the Opposition Bloc faction. The court ruling concerns legislation passed by the Verkhovnaya Rada at the end of 2018 to amend the law On Freedom of Conscience and Religious Organizations. The initiators of this legislation "attempted forcibly to rename" the Ukrainian Orthodox Church the Russian Church in Ukraine, without taking into account constitutional norms, the congregation's opinion, or the opinion of the church itself, Novinsky said. "Apart from the fact that the government has no constitutional right to interfere in religious matters, the bill was revoted, contrary to the rules of procedure, as they wished to achieve a result planned beforehand," Novinsky said. "Now the forcible renaming of the Ukrainian Orthodox Church to please [President Pyotr] Poroshenko and his entourage has been taken off from the agenda. I'd like to believe the decision is final," he said. The legislation on renaming the Ukrainian Orthodox Church passed at the end of December 2018 took effect on January 26, 2019. The law stipulates that all parishes and monasteries of the Ukrainian Orthodox Church had three months to indicate in their charters that they belong to a religious organization with the center in the state "that has committed military aggression against Ukraine and temporarily occupied its territory."